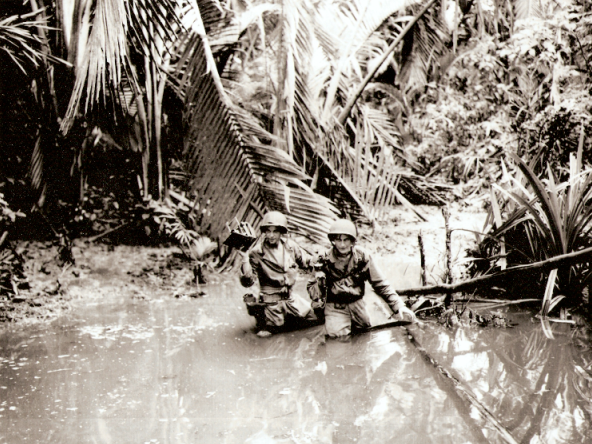 in forward area during invasion at a beach in New Guinea. -T4c. Ernani D’Emidio, April 22, 1944. Photographic unit. 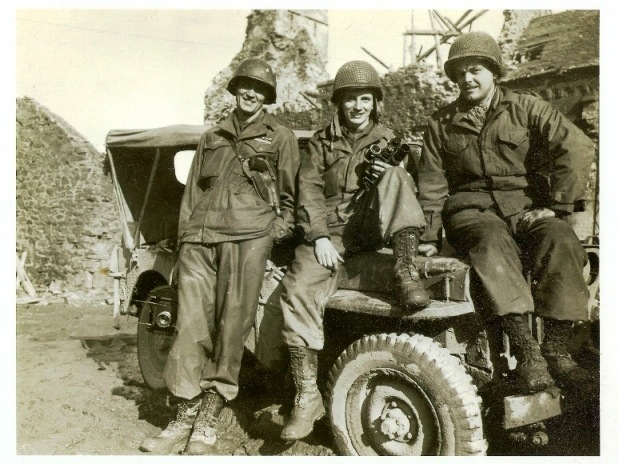 Chapman, Cyedicks?, Wetzelberger at Hurtgen, Germany February 15th, 1945. A new arm patch, issued recently, will be displayed by ETO Signal Corps photographers. 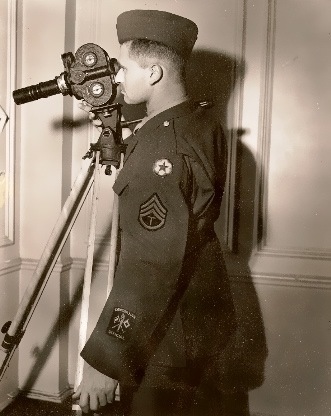 S/Sgt Burton D. Hartman, a signal Corps movie cameraman, is displaying the new arm patch while operating his Eyemo camera. This photo has several stamps on the back saying: CONFIDENTIAL until re-classified by censor. Reviewed [ ] as censored, United States Army, 21 Oct 1943, Press Censor, E.T.O. U.S.